If you aren’t as Extremely Online as I am, you might have missed the recent controversy surrounding the lack of a certain suit in Marvel’s Spider-Man. 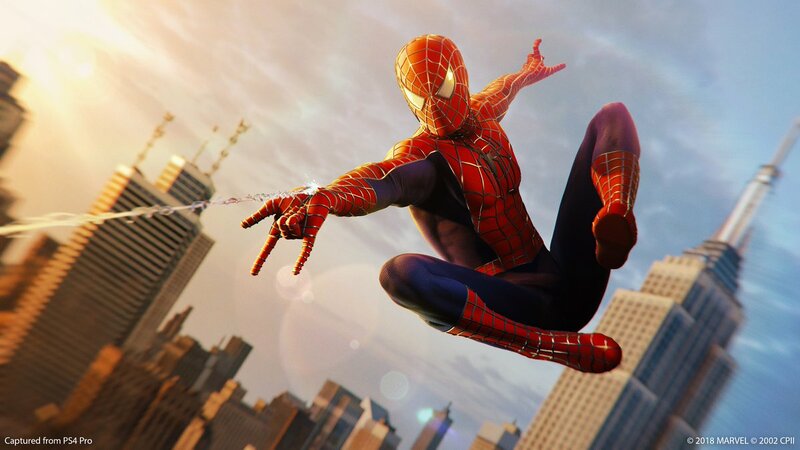 Basically, a handful of people were really annoyed that the latest DLC didn’t add the Raimi suit – you know, the one from the bad movies. They took to Twitter to hurl abuse at Insomniac, threatening to boycott the game over it. Yes, it’s entirely blown out or proportion, just like when people were mad about the puddles. “Surprise! It’s time to party like it’s 2002. A certain suit is available now in #SpiderManPS4. Yes, *that* suit,” PlayStation said in a tweet. I hope the suit’s power is to delete your Twitter account.